Tutti Designs: Elegant Floral Shoe - Tutti 185. 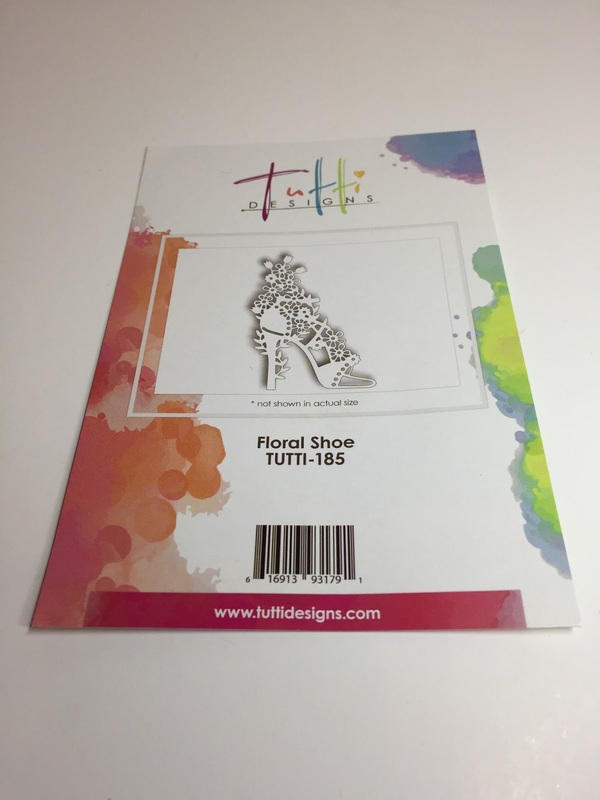 Elegant Floral Shoe - Tutti 185. Today is Floral Shoe, TUTTI-185. From the new October release. 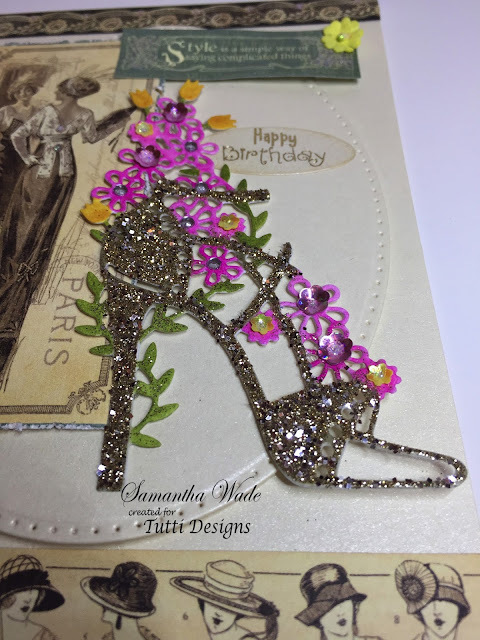 Die cut the shoe once from plain white card. Then coloured with distress inks picked raspberry, wild honey and peeled paint. Added glue to the shoe and sparkles glitter. Add sequins and gems to the flowers. 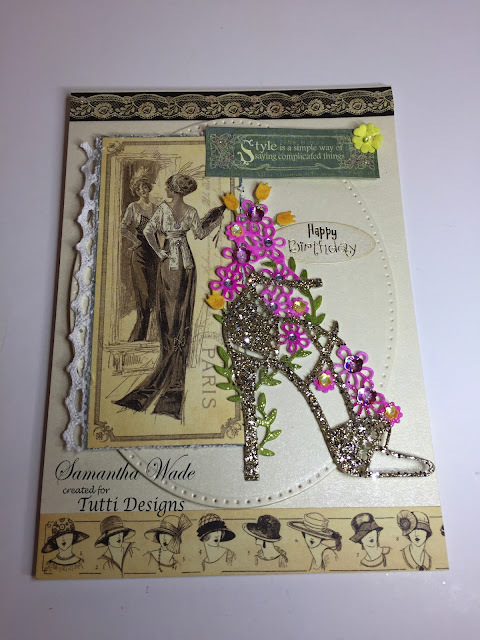 Created the background from G45 ladies diary papers, to show off the stylish shoe. WOW! Love how you blinged up this gorgeous die and your design is PERFECT! Awesome creation Samantha! Rich and Gold Flower Symphony Corner. A Magical Birdhouse Garden Scene.